The availability of affordable prices of solar panels in the Philippines makes it easier for people to make the decision of trying it out. If you are one of these people, congrats! However, making the purchase is only the beginning. You need to correctly install it at your roof and maintain its performance by cleaning it regularly. Here’s a quick guide to cleaning and maintaining your solar panels. The process of cleaning solar panels is not the same as cleaning other home furniture. You’ll need to use a specific cleaning kit for these things! The kit should contain liquid soap, a wiper, and different size of brushes (some may come with longer handles.) If the need is urgent and you know what you’re doing, then car cleaning tools may do. Mix the liquid soap and water in a bucket. Refer to the liquid soap’s label on the amount that you need to mix in with water. Dip the brush into the mixture so it absorbs the soap. Rub this gently on the solar panels. If your solar panels have smaller arrangements, use smaller brushes. If you have a larger one, use brushes with longer handle. Once done brushing the solar panels, use the wiper to get rid of the excess liquid. Doing this will prevent the soap from drying on the solar panels, which can block the amount of the sunlight that it can absorb. Do not use cleaning supplies other than the recommended solar panel cleaning tools. Abrasive scrubbers and pressure washers can damage your solar panels. If in any case that you can’t clean all the areas of the solar panels or are unsure of how to go about it, you can seek the help of a professional team. You may also contact your solar panel company to ask if they offer cleaning services. This is the safest bet as you can be sure they can handle your solar panels properly and safely. A monitoring system keeps you regularly on the loop regarding the performance of your solar panels. The monitoring system can alert you if there are any areas of the solar panel system in need of repair. Develop the habit of regularly checking the performance of your solar panels. Every day, list down what the solar panel system has produced. One of the many advantages of solar panels is its durability. Typically, a solar panel system has a 20-year warranty and can last up to 40 years. 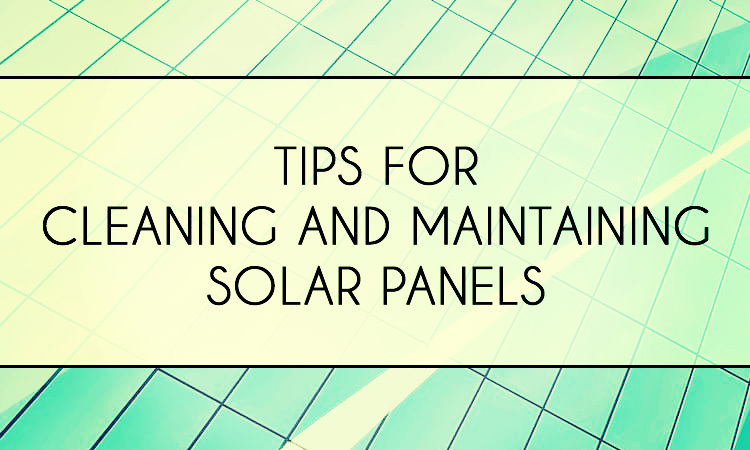 Having a regular cleaning and maintaining routine can help extend the life and efficiency of your solar panels. Make yours last long by following the easy cleaning and maintaining tips above.